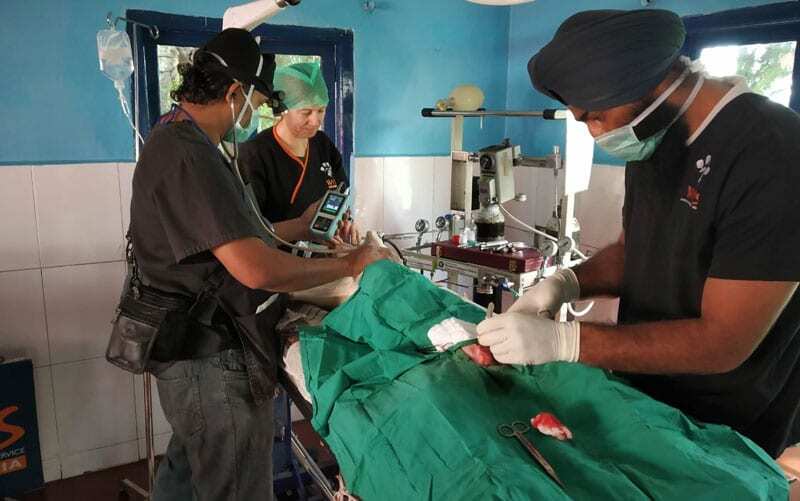 A vet from Davies Veterinary Specialists in Hertfordshire has been sharing her knowledge and experience to help veterinary surgeons in Southern India hone their skills in veterinary anaesthesia. 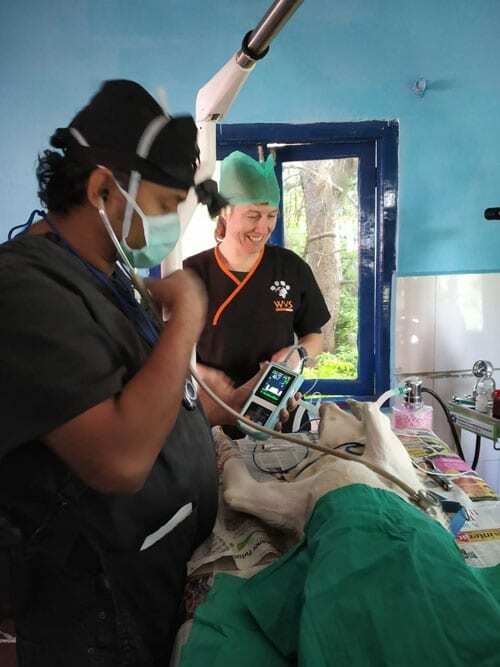 Louise Clark, RCVS and EBVS® European Specialist in Veterinary Anaesthesia and Analgesia and Head of Anaesthesia at Davies Veterinary Specialists spent four days teaching at the Worldwide Veterinary Service’s (WVS) International Training Centre in Ooty, Tamil Nadu last month. The WVS, founded by vet Luke Gamble in 2003, collates veterinary resources and directs them to assist animal charities and non-profit organisations all around the world. The organisation strives to be at the frontline of animal welfare, helping animals where no one else can. The India International Training Centre (ITC) in Ooty in Southern India was established to provide practical training to Indian vets and local charity workers, promoting best practice techniques in animal welfare. The ITC also offers specialist surgery courses throughout the year as well as animal handling courses to local charity workers. Supported by the WVS team of vets, Louise ran a four-day Anaesthesia special training course for WVS staff and external candidates from all over the country. They delivered lectures and had small group discussion sessions, as well as demonstrating appropriate techniques on live dogs undergoing surgery. The course was enhanced by the generous donation by PROACT Medical Ltd of a pulse oximeter/capnograph, which enabled Louise to teach contemporary anaesthetic monitoring techniques. At Davies Veterinary Specialists, we use this highly portable, compact, robust and easy-to-use piece of equipment on a daily basis for versatile patient monitoring in our Hertfordshire hospital.